Lisa Williams is the Founder and Chief Corporate Wellness Officer (CCWO) of TravelTrim Corporate Wellness, LLC. She has been working in the Corporate Wellness space for over 14 years and runs an extremely successful program at a major manufacturing company in Kentucky with 3700 employees. 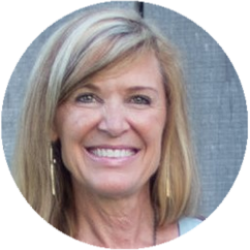 In addition to her work with TravelTrim, Lisa has worked in the corporate environment for a major Fortune 500 company for 23 years, contracted for NASA and Naval Oceanographic at Stennis Space Center for 7 years and has a solid business, technology, and digital learning background. She is also a member of Todd Durkin’s Mastermind Business and Life Coaching program and has been featured as a resident expert in the Corporate Wellness space.